Ferdinando Loffreda slashed his foot open in the campo last night so retires from the Pro bracket. Thank you Jeff Allbright for the desert surgery. 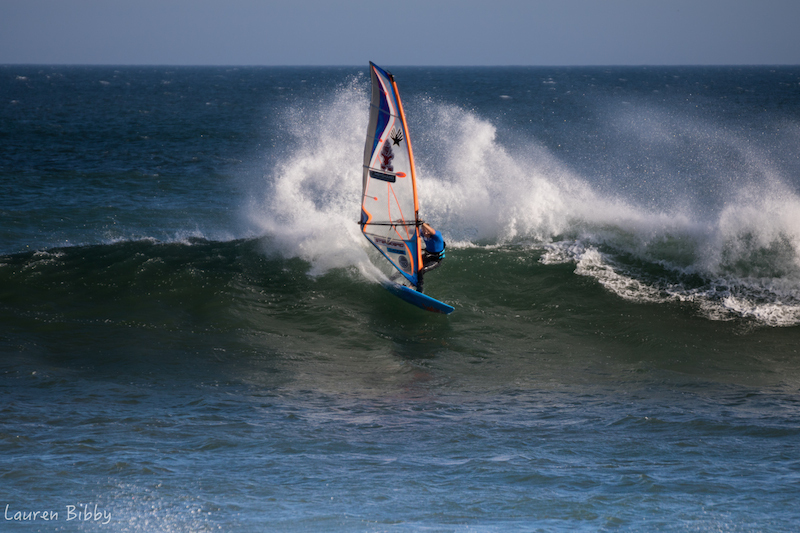 So Max Schettewi progresses through to the next round after sailing a fun heat on his own. Russ Faurot’s back injury seems to not be bothering him this morning as he scores the first wave of the heat with a solid logo/mast high set wave. Robert Torkildsen from Norway picks up the wave behind him and takes it all the way down in to the Chili Bowl. Russ’s second wave of the heat sees him carve his way down from the point and past the judges with a big aerial to finish the ride. Robert is right behind him again, fully holding his own against the pros. 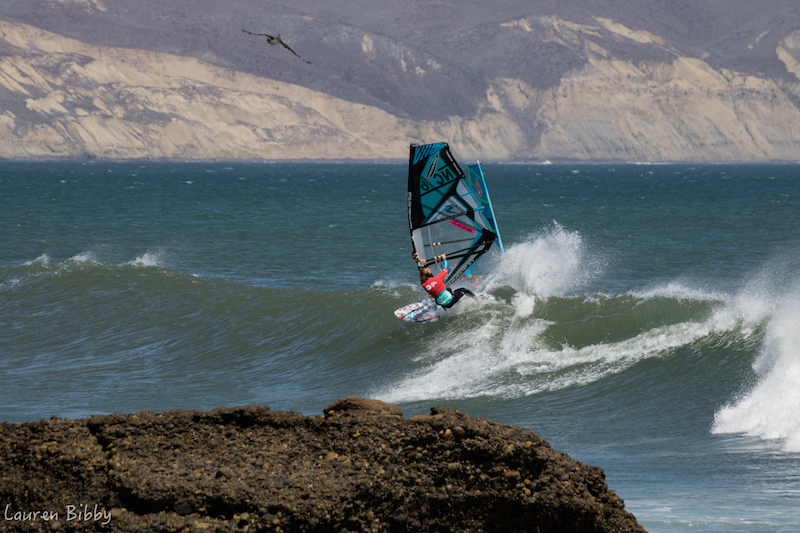 I guess a month in Baja each year pays off…. Dwight Bode picks up his first wave of the heat as the green flag goes up. 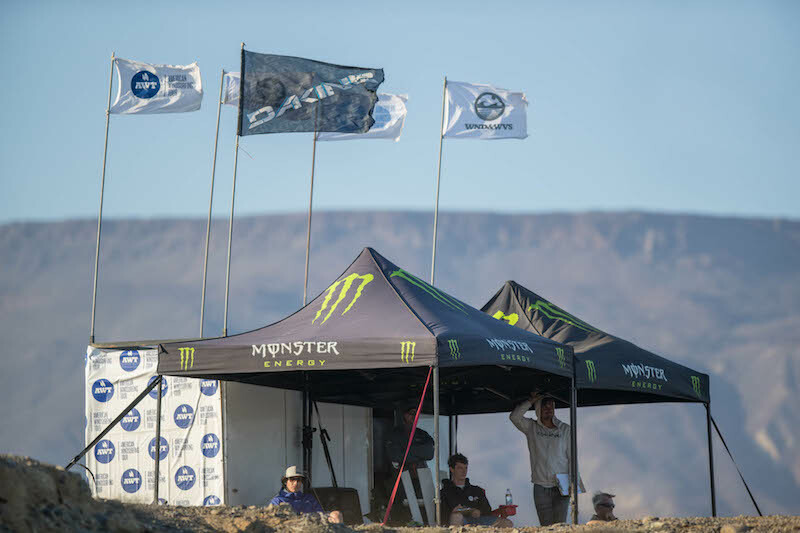 Colby Deer meanwhile is way upwind – and out of the sight of the judges – as he drops in to his first wave of the heat the wrong side of the peak and ends up on the rocks while Dwight carries his ride way down to the fish camp. Colby is still working his way out again after his swim as Dwight picks up another set wave out the back and heads back in to the Bowl. Colby finally finds a solid set as the heat closes and gets his second wave on the score sheet. Kevin McGillivray pumps on to a wave in the dying seconds of the transition and launches in to full K-Smack mode on a big set wave. Kevin Pritchard is right behind him boosting a huge aerial on his first turn on the wave, carving turns in to the Bowl and another huge air in front of the judges tower. Max Schettewi finds a wave 5 minutes in to the heat and scores a logo high Punta wave with KP and K Mac following him in to the bowl with the KP air show in full effect. Joey Sanchez finally finds a ride down to the judges and throws an epic aerial but disappears in a world of white water. KP is throwing aerial after aerial and K Mac is scoring long power rides in to the Chilli Bowl. Joey finds his second ride and gets some air under his fins. The swell backed off a little but Jake Schettewi and Casey Hauser are making the waist high waves look cool. 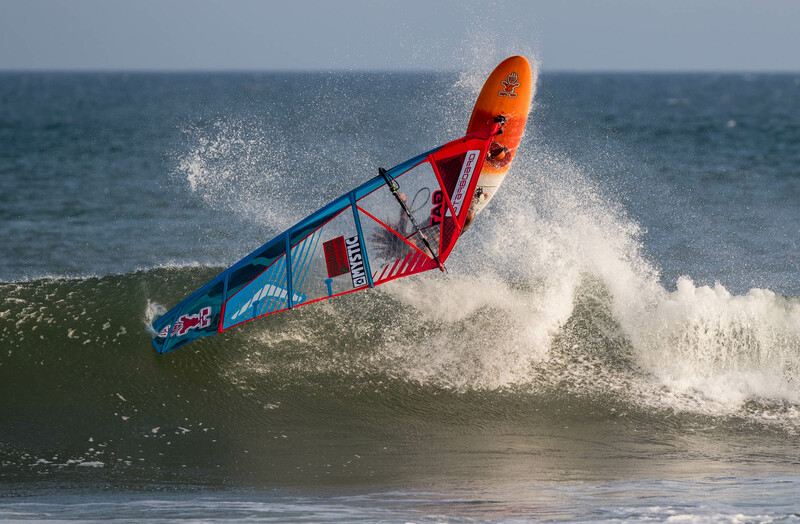 Boujmaa Guilloul picks the biggest wave of the set and throws an aerial over the head of a swimming Casey Hauser. Russ Faurot is working his wave and scoring power turn after power turn. Not bad for a guy with a bad back injury. Jake Schettewi is hot on his heels slashing his turns down the line, giving the older pros a run for their money. 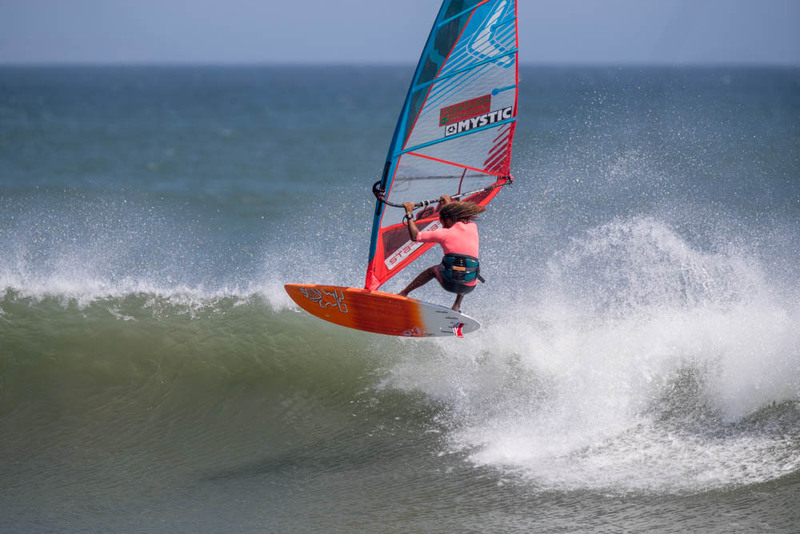 Boujmaa comes in high at the Punta and goes for a one-handed top turn but mis-times it and falls out the back of the wave. Jake bottom turns around him on his way in to the Chilli Bowl. Boujmaa is soon back out and charging. 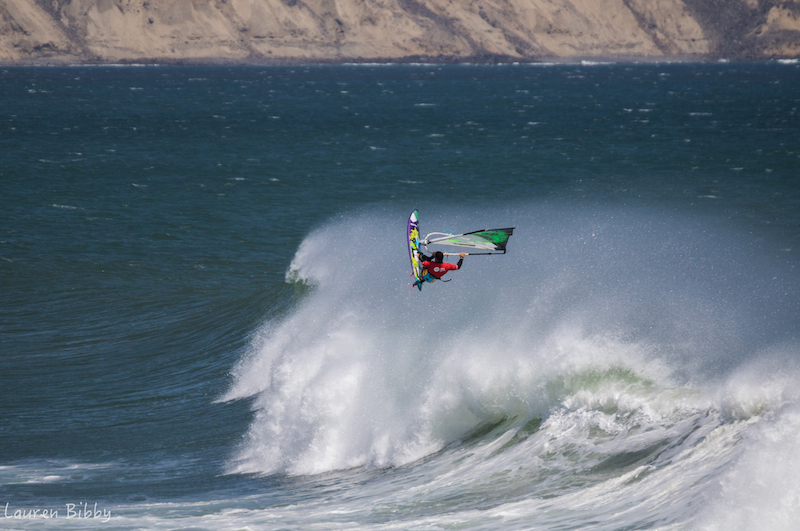 Jake picks up a solid wave and throws a huge aerial at the point in front of his family watching from the cliff. As the red flag goes up Casey and Russ charge on to long set waves racking up big scores as the heat ends. Still light on set waves at the moment but Casey finds a funsize wave to ride in to the Chilli Bowl. K Mac is staying out back hunting for a decent wave. Finally he nails a three turn wave before it fades away. It is hard work out there. Casey is waiting out the back and K Mac joins him to battle for the next wave. K Mac pumps past Casey to take the next ride in. 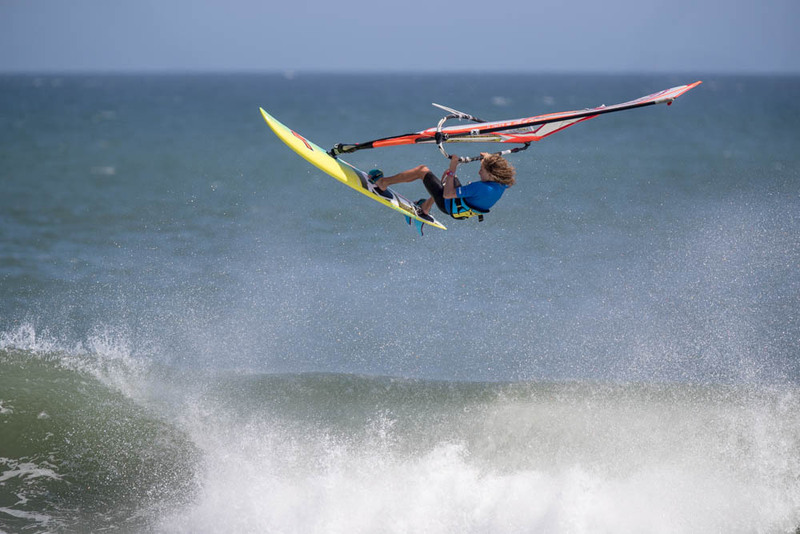 Casey tacks on to a logo/mast long rider and finds a ramp for a nice aerial but lands on the back of the wave. K Mac finally gets the ride he wants with two aerials on his way in to the Chilli Bowl and the judges. Schettewi on Schettewi. Jake pumps hard to get on to his first wave of the heat, getting a few solid turns before kickng out. Back out in the line up the two brothers both pump for the same wave, Jake winning the battle and scoring with a second decent ride of the heat with Max still hunting for his first. Jake bottom turns around Max on his way to a huge aerial – again in front of his family and coach. Max finally scores the longest ride of the heat so far, almost losing it near the end but holding on for a solid score. Colby takes his first wave and has another long swim on to the rocks while Dwight takes his classic ride to the fish camp. 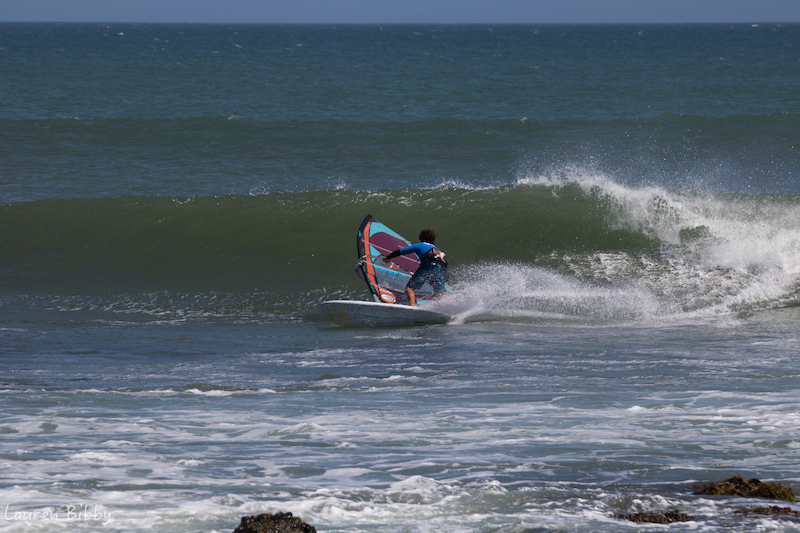 His Baja wave experience is showing in his wave selection and positioning. These two friends battle it out for set waves for the rest of the heat, each scoring solid rides down the line to the Chilli Bowl. Dwight wins the heat and takes the Grand Masters title. 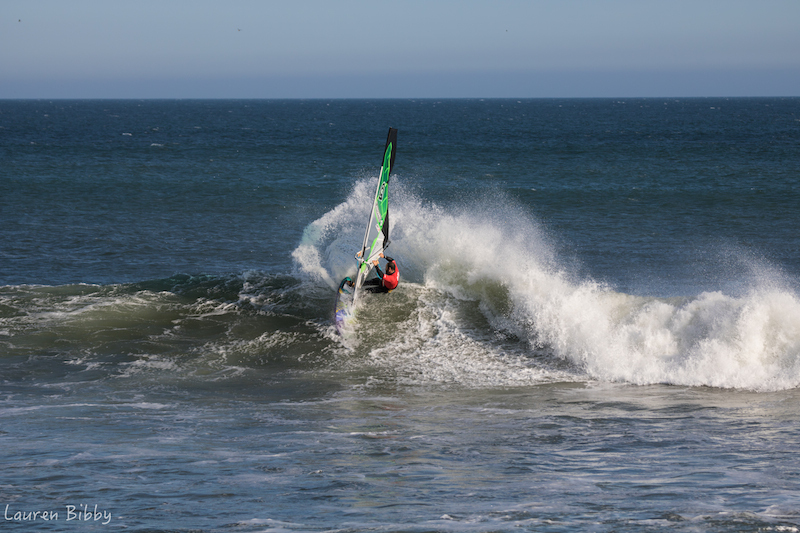 After a slow start to the heat, Kevin Pritchard takes the first wave with two impressive turns right in the pocket. K Mac and Joey Sanchez are hunting for waves out the back as KP tacks on to another wave in front of them. K Mac takes the next ride and gets some solid turns into the Chilli Bowl. KP on his third wave of the heat throws a classic aerial as Joey is still waiting for his first ride out the back. He finally picks up a cracker and puts out a one handed top turn to get the score on the sheet. 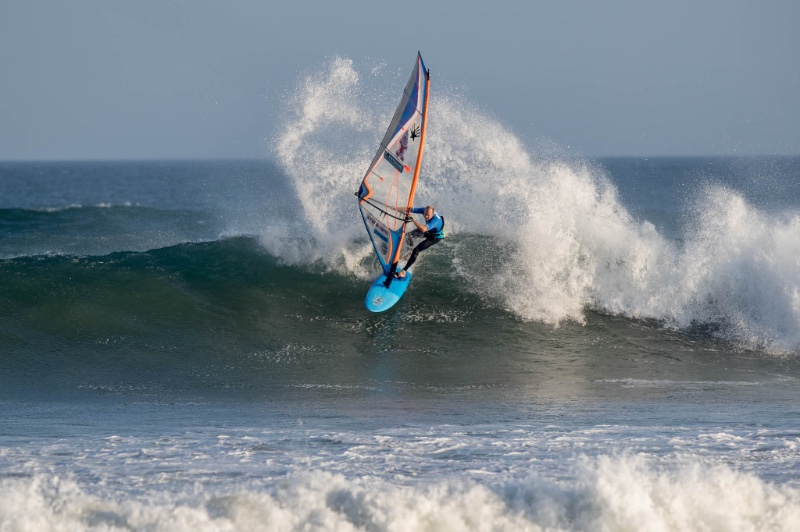 A lull in the sets forces Joey and K Mac to ride smaller Punta waves for a while until a final storming set comes through and all three riders get a chance to show how good they are. This is a close one. Jake Schettewi makes a solid start with the first wave of the heat. He scores his second before either of the other riders have got a mark on the judges score sheets. Russ Faurot is on the second wave of the set and chases him down in to the Chilli Bowl with big air from both competitors. 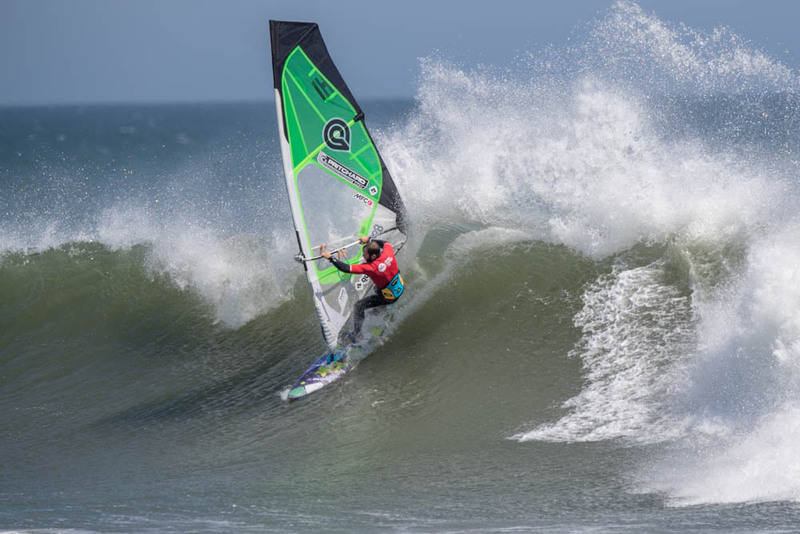 Boujmaa scores the biggest wave out the back and smacks turn after turn all the way down the line. Russ scores some big air in the Chilli Bowl and smacks plenty of spray around as he carries on riding down the line. 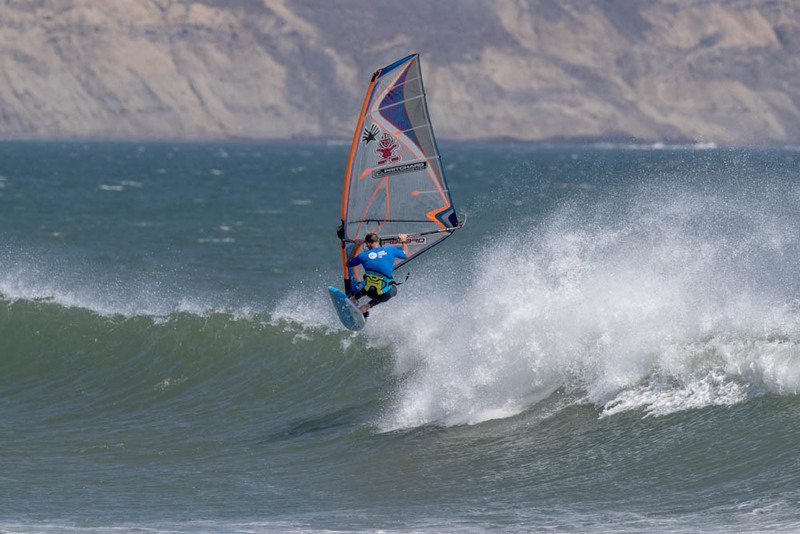 A tight finish with Jake and Russ fighting for the last wave of the heat difficult to call who has priority but Russ drops back to take the next one but is sadly out of time. 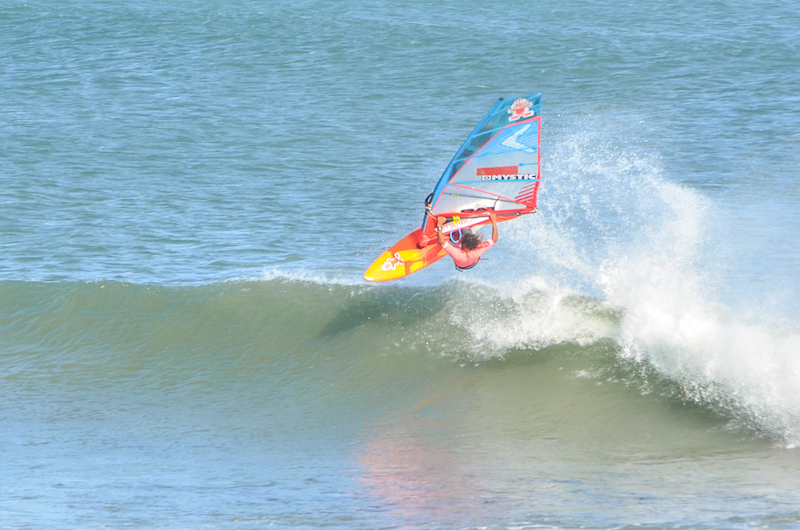 Sarah gets straight in to it and takes the first wave in the opening minute of the heat. But it is 8 minutes more before another set comes through and Ingrid gets on the score sheet. Both women working hard to get turns on the decreasing waves until the dying minutes of the heat when a proper set comes through and both women take long power rides down in to the Chilli Bowl. 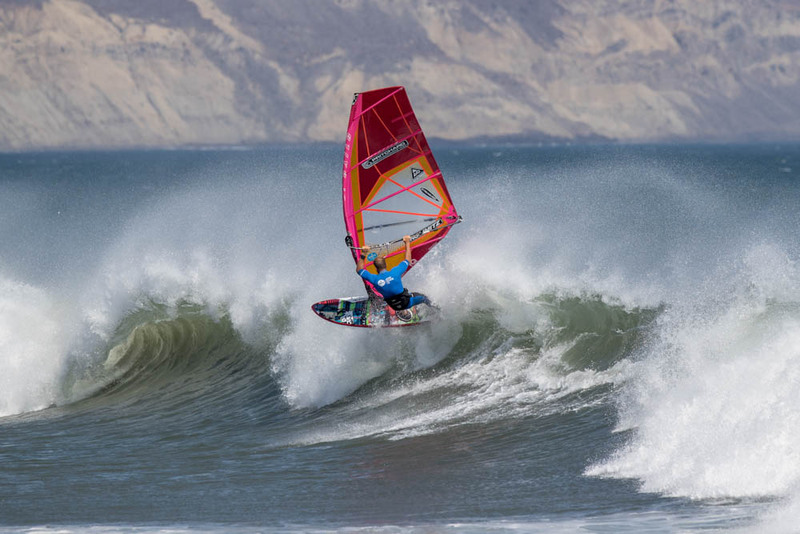 Another super close heat but Sarah wins and takes the Pro Women’s crown this year in Baja. 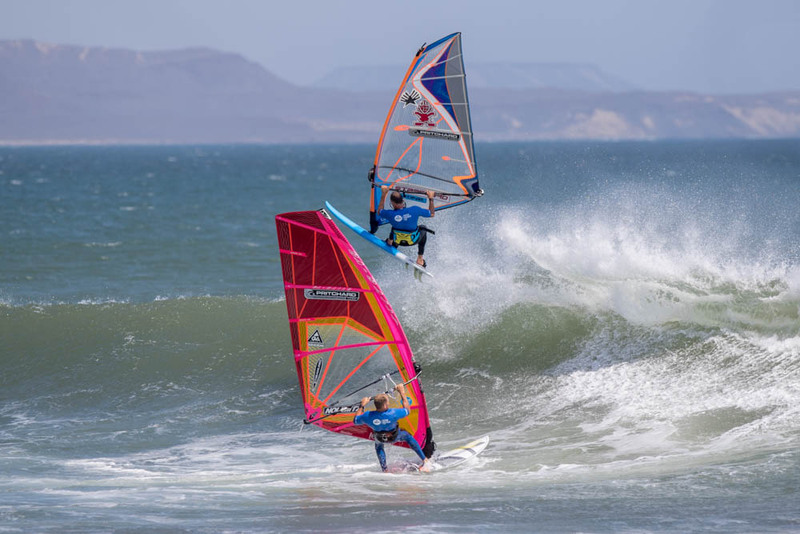 A tense start as the four finalists tack in to position , waiting for the set with barely enough wind to manouevre, for a few minutes it looked like Jake was going to get all the waves! Then Boujmaa pumped on to one and started throwing his flamboyant turns and signature aerials. The show is on. 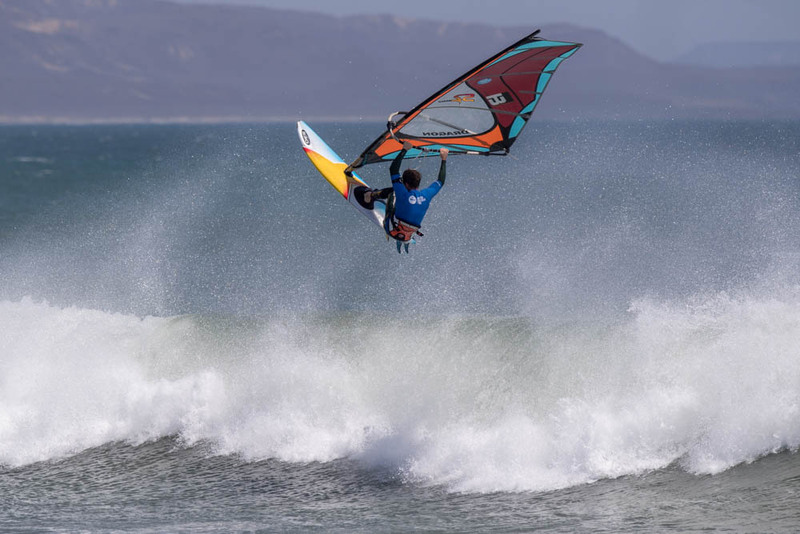 Kevin Pritchard finds a peak to work his smooth power turns before busting out one of his classic Punta aerials, Joey Sanchez scores a set wave and charges hard but finishes with a swim. 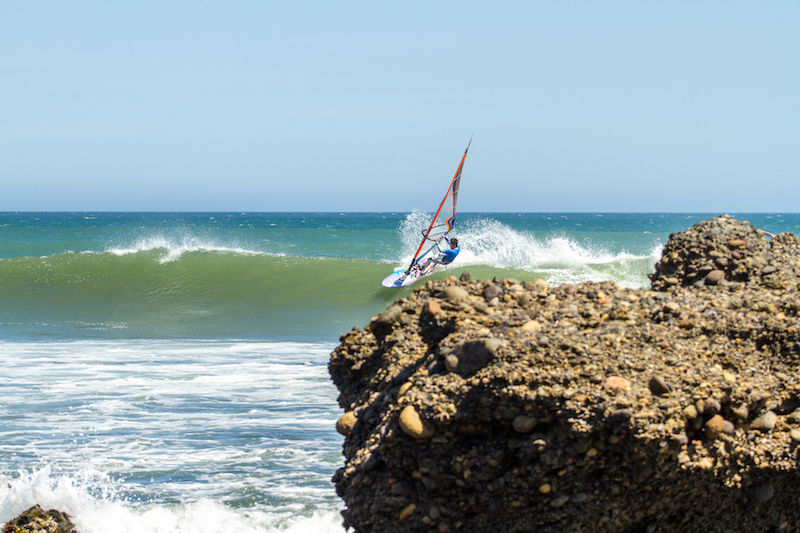 Boujmaa surprises everyone by somehow producing a perfect Goiter off a tiny wave right on the rocks. 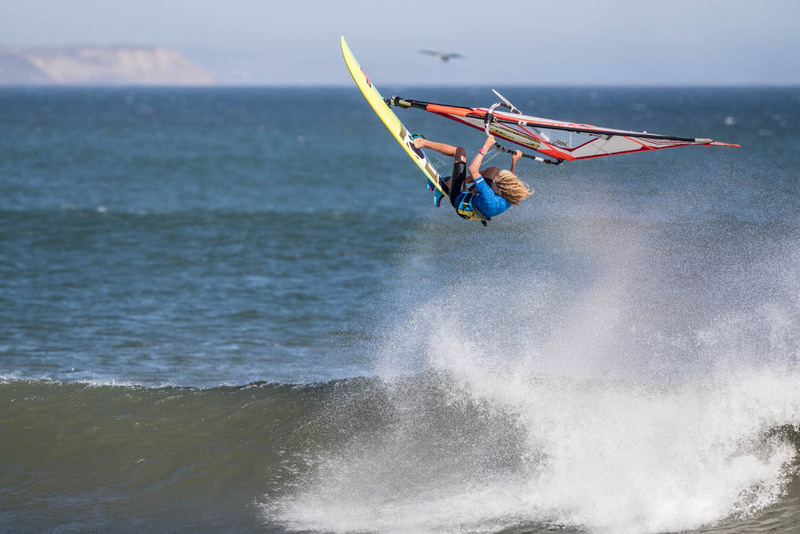 Jake is racking up wave after wave, hacks at the point and finishing with ever-higher aerials in front of the judges. Joey brings in a solid wall from way out back and finds the space for his fully committed turns and amazing tweaked attacks on the lip. A spectacular heat showcasing four very different riding styles, great fun for the crowd and hard work for the judges. Final result is a win for Boujmaa, closely followed by KP in 2nd, Joey Sanchez takes 3rd place in his first ever final and 4th place to Jake Schettewi. Thanks to our hardworking judges – that was a tough one! 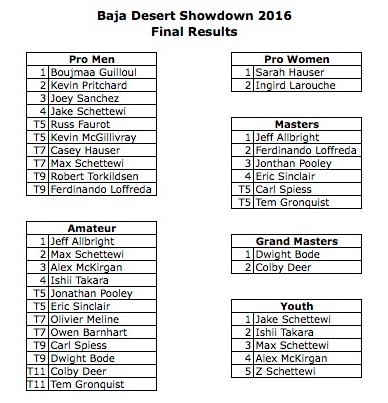 So that brings to a close an epic showdown in the desert. But we have one more day and there’s talk of a Pro/Am team contest – with prize money! 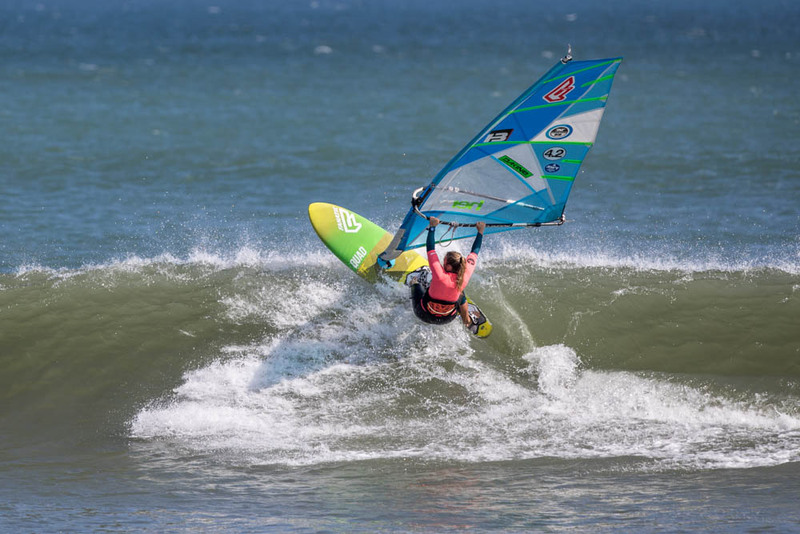 International Windsurfing Tour–Inspiring the Future of Our Sport 2018. All rights reserved.